Usted está ingresando a un mundo nuevo donde el dinero y la naturaleza se unen. He aquí su próximo negocio. 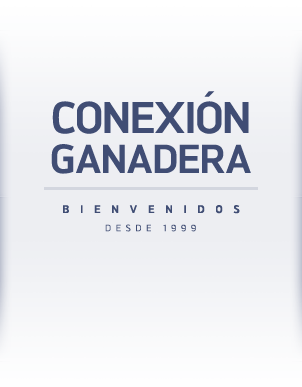 Conexión Ganadera has had, since 1999, the mission of allowing people who are not experts in livestock to conduct business in this sector without having to pay to learn how to do so and without taking care of the business themselves. For this, our company assists the investor by buying the cattle, and finding a livestock producer to make it produce, moving it, monitoring it, selling it and liquidating the business between the parties according to the agreed contracts. It is the first and largest company in Uruguay to channel financial capital to the livestock sector. The trust that hundreds of investors and producers have placed on us has determined that our firm manages one of the largest cattle rodeos in the country and therefore, it projects the consolidation of a productive chain from the field to the final consumer with its meat brand Del Terruño (www.delterruño.com). For this purpose, it has had to design contracts to stimulate the integration of the parties, and has administered them with transparency, fairness and justice, allowing the members of the contract a win – win combination. Entrevista a Pablo Carrasco (Director de Conexión Ganadera) realizada por Martín Olaverry donde se abordan temas importantes en cuanto a la inversión en ganado, brindando además una visión clara y objetiva sobre la proyección del negocio en materia de mercados y formas de comercialización.